I rarely style my hair, but once in the blue moon I like to bring out the big guns and go all out. 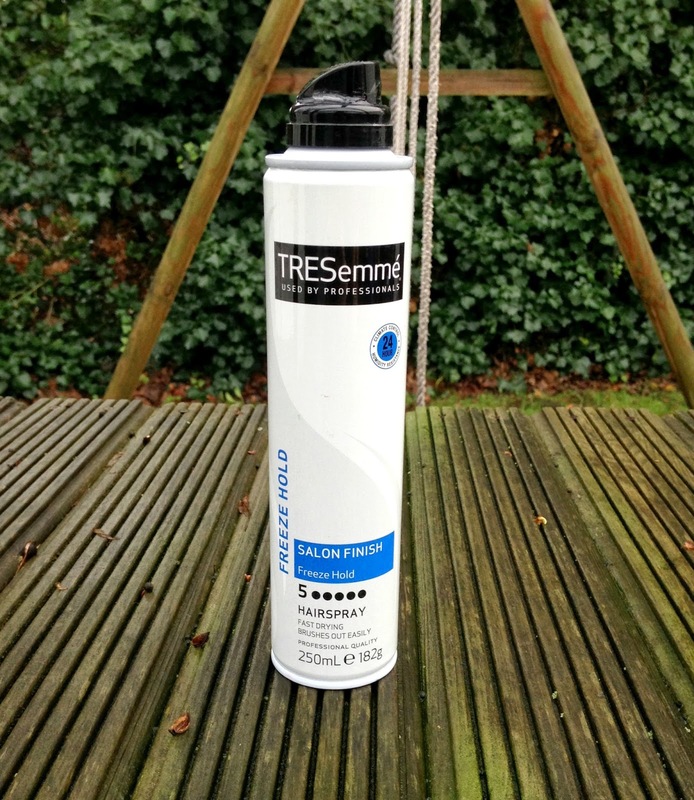 Part of my toolkit is the beauty pictured above – Tresemme Freeze Hold Hairspray. Unlike the usual black bottles, this hairspray is packaged in a white aerosol can. Nothing fancy, but practical. I’ve seen plenty of Hairstylists use this product and once I had tried it, I knew exactly why. It’s absolutely fantastic. All you need is one small spray on your hair and it will honestly hold throughout the whole day. The product isn’t sticky and doesn’t have a very strong scent either. The bottle claims that it brushes it out easily and I wouldn’t necessarily disagree, however there have been times where I went on a hairspraying spree and found that in those cases it does take a while but that’s understandable since it provides such a strong hold. It does however wash out really easily. The hairspray also claims to be humidity resistant. I can also safely say that I have tested this whilst I was out in india in 40 degrees (Celsius) of heat for a wedding. My hair instantly turns into an afro as soon as there’s some humidity about and I was worried that I would ruin the happy couples photos with my crazy mop. I took my trusty Tresemme bottle with me and found that whilst using this product my hair stayed in place all day. My only gripe with this hairspray is that if you spray a little too much your hair turns rock hard and leaves a slight sheen, so sometimes I find that my curls can look a little greasy. Eek! So if you’re after a soft look like loose curls or an updo with some movement then this hairspray may not be what you’re looking for. After some practise however you do get the hang of how much to use and you could make it work. A handy tip for using this product is once you’ve finished using your hairspray, wipe off any excess left on the spray/nozzle area. The hairspray is so strong that I’ve had times where the product has dried on and when I’ve gone to spray it the next time it wouldn’t come out! At £3.32 for 500ml it is definitely worth it. The bottle will last a really long time as a small spray goes a long way. Have you tried this hairspray? What’s your favourite?